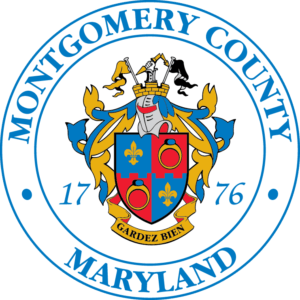 Montgomery County’s Department of General Services (DGS) often works behind the scenes to ensure that the County is operating efficiently, both in terms of cost and utilities, through innovative programs and processes. In 2018, DGS launched their Continuous Energy Improvement Program. This Program is exactly what it sounds like – an ongoing system of monitoring and adjusting County facilities to improve energy efficiency. Inventory existing HVAC equipment, lighting fixtures and bulbs, and water fixtures to understand where energy and water are being used. Speak with Facilities Management staff and building occupants to fully understand the building’s day-to-day operations and any outstanding issues. Make general observations that can lead to energy-saving opportunities, such as unnecessary lighting during daytime hours or malfunctioning equipment. Use the information gathered to determine appropriate energy and water conservation measures to implement. Repeating the Energy Sweeps process at the same facility at regular intervals (e.g., once every year) or more frequently if the building is performing poorly. As of March 2018, program staff have completed Energy Sweeps audits at nine facilities. 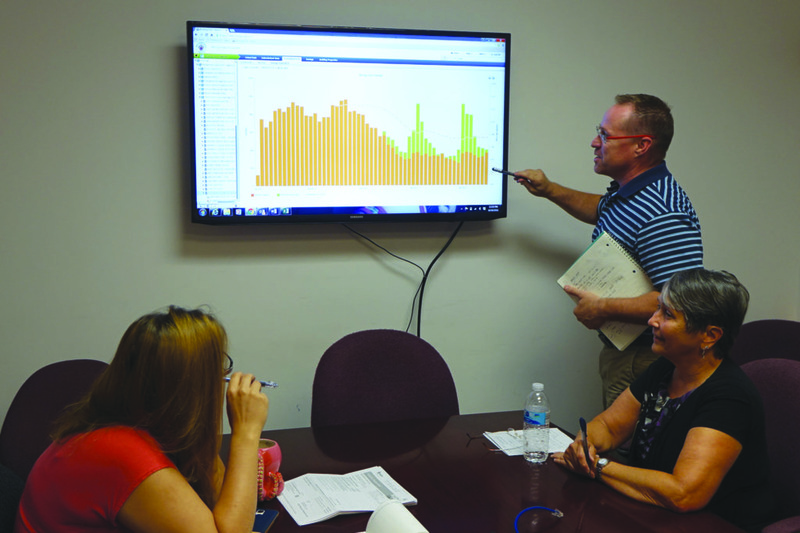 The County expects to conduct Energy Sweeps audits on 20 facilities in 2018, identifying potential annual savings of as much as $1 million. Cost-savings realized from many of these projects can be reinvested in additional energy saving improvements, multiplying the benefits to the community. There is such a wide variety of buildings under inspection, ranging from libraries to recreation centers that it’s hard to know where what to look for in each case. A large emphasis of the program is on no- or low-cost opportunities to save energy to get the largest return on investment. For example, after doing a building inspection of a library, DGS discovered that an escalator was running unnecessarily outside of library operating hours. After making the adjustment to running only when the library is open, the escalator helps save on energy use thus energy costs, while extending the lifetime of the escalator due to less use. 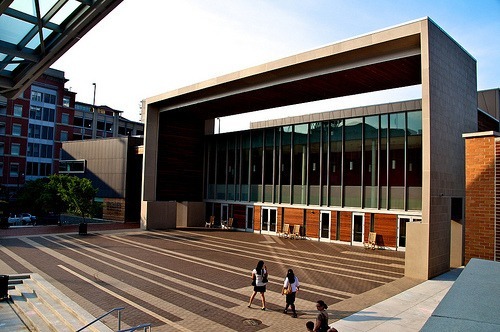 Additionally, the older and less efficient buildings usually have a higher priority than the newer, LEED certified facilities. 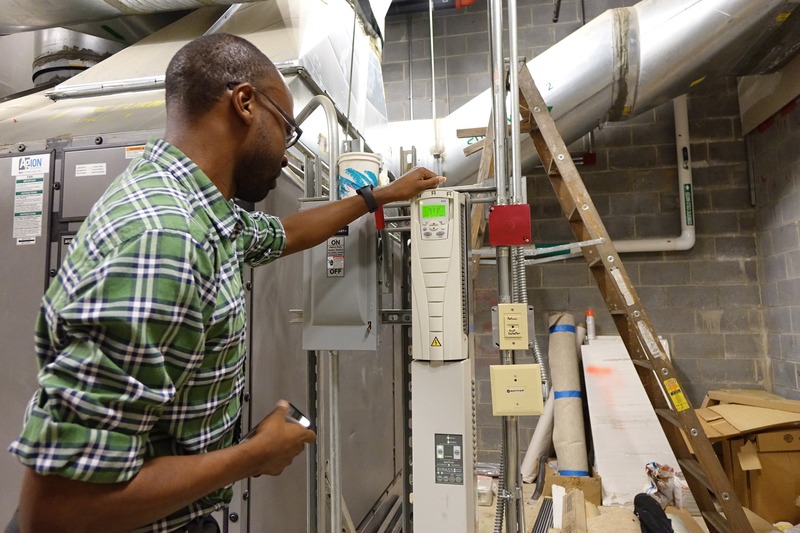 DGS is focusing their attention on underperforming facilities that can realize big energy savings – with 12% of Montgomery County’s 430 facilities accounting for 80% of the County’s total utility costs, there are big opportunities for the Energy Sweeps program. “The first project reduced water and energy use, though simple faucet aerators and fixture replacement, by $15,000 annually in the Executive Office Building. The County plans to finish similar projects at two other large facilities in about two months,” says Odohi Ettah. It is estimated that the two other facilities along with the first project will save a combined 1.4 million gallons annually, which equates to $26,000 saved. The National Association of Counties recently recognized DGS’ Continuous Energy Improvement Program with a 2018 NACo Award for its innovation. In addition to the operation of County facilities, behavior of the people in the building is equally as important. The County is launching a pilot “Green Team” program with Departments to engage building tenants to drive further reductions in energy and resource use through employee engagement. This pilot is in partnership with the County’s Live Well employee wellness program. Some examples of environmentally friendly behaviors at work include packing a waste-free lunch, turning the lights off in rooms that are not being used, using public transit to get to work, and bringing in a compost bin for people to compost their organic waste. It’s clear to see that sustainability is a concept that can be applied to almost everything in our daily lives – from our homes to our offices, and into our communities. DGS’ Energy Sweeps is one piece of the County’s efforts to reduce energy, reduce greenhouse gas emissions, and save taxpayer dollars. Paired with the Green Teams, these processes for County operations will help our buildings and the occupants in them deliver services to residents in a more sustainable way.